Subrahmanya/Karthikeya is the second son of Lord Shiva and Parvathi. Karthikeya represents the serpent god. 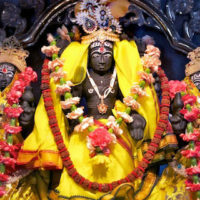 He is also known as Kumara, Karthikeya, Shanmukha, Subrahmanya, Skanda, and many other Sanskrit names. His wives are Devasena and Valli. 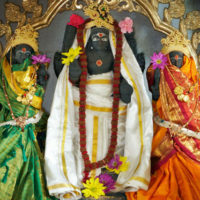 Karthikeya tends to the spiritual growth of aspirants. He takes care of health, family life, healthy children, and assets such as land, etc. Those who are suffering with Rahu, Ketu, and those having sarpa shap (curse of the snake) should worship Karthikeya by performing this Subrahmanya/Karthikeya Havan. If all the planets in the Vedic birth chart are between Rahu and Ketu (Kalasarpa Dosha) when going clockwise, that is another sign of the curse of the snake. 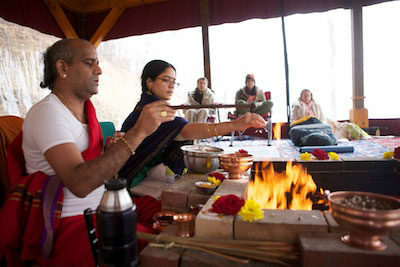 To avoid all of these problems, it is good to perform this Havan.